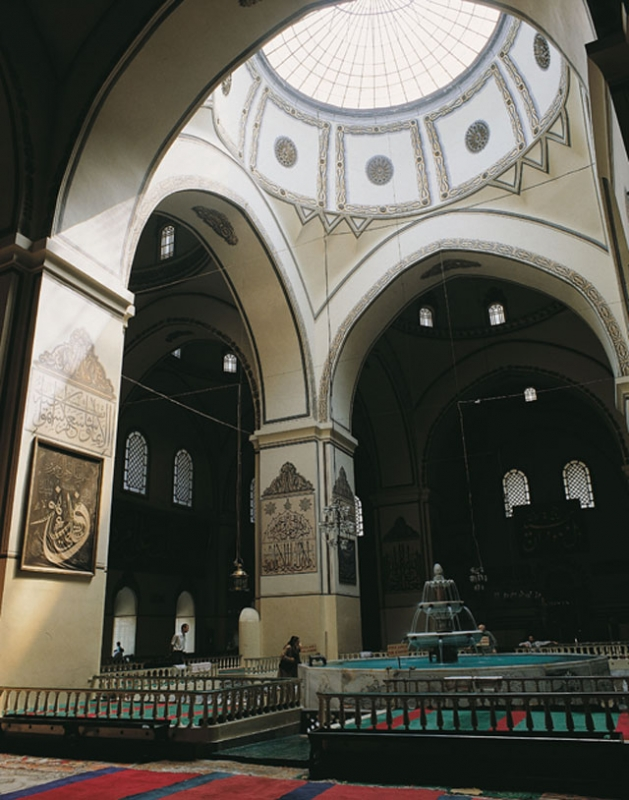 Among the first architectural examples of the Ottoman Empire, the Green Mosque was built in Bursa in 1419 and is famous for its valuable tiles that cover a great part of the structure. The magnificent mosque with a capacity of two thousand people was also meant to function as a government house. The Green Mosque is the most beautiful example of wood and marble craftsmanship, calligraphy and fine ornamentation in Anatolia. The madrasa constructed later and adjoining the western wing of the mosque has been turned into the Museum of Turkish and Islamic Arts.